Seaview Cottages currently has 23 fully equipped 1 & 2 bedroom housekeeping units. 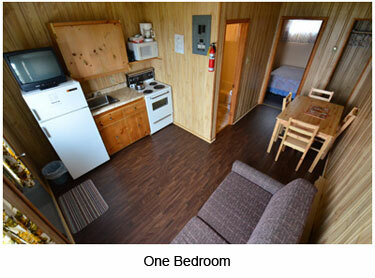 All units are equipped with everything you will need to make your stay comfortable. Enjoy your home away from home at Seaview. One Bedroom Cottage 1-2 people $100 per night. Each additional person $10 per night. Two Bedroom Cottage 1-2 people $120 per night. Each additional person $10 per night. *Cancellation policy: No refund within 30 days of booking. Over 30 days will receive 1/2 deposit back.